The project to establish The Forest Community Men’s Shed commenced in September 2004, when Frenchs Forest Lions Club member Tim O’Sullivan saw the opportunity to establish a community meeting place and ‘drop-in’ centre specifically aimed at improving the health, well-being and quality of life of retired and older aged men in the greater Forest area. To gauge support for the project he developed and distributed a Community Discussion Paper outlining the project aims and objectives and calling for individuals and organisations to commit their support. The project’s principal objective was to create a Men’s Shed woodworking workshop and hobby centre to be modelled on the very successful Lane Cove Community Men’s Shed that had been established in 1998. 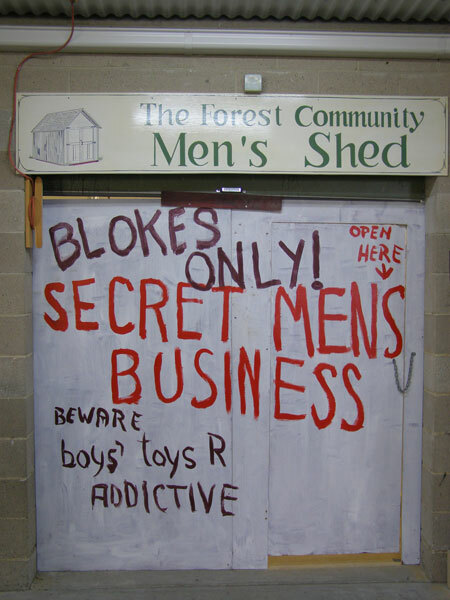 The Shed would provide a special ‘Blokes Only’ place where men, who perhaps no longer had access to a shed of their own, could get together with other like-minded men. Responding to the Community Discussion Paper, the Lions Club together with the Rotary Club of Belrose and UnitingCare Ageing-Northern Sydney Region agreed to become joint principal sponsors of the proposed Men’s Shed. Representatives from these three organisations together with representatives from Warringah Council-Aged Services, the Forestville RSL Sub Branch and the local community agreed to form an interim planning committee to further evaluate the feasibility of the project. Having completed its initial assessment, the interim committee was formally established as a steering committee and thereafter guided the project through the development phase to completion. To further determine the extent of support for the concept of a Men’s Shed, a series of community meetings were organised at which the aims and objectives of the project were outlined. Those attending the meetings were asked to respond to a survey and the data gathered, indicated very strong community support for the project, particularly from men who were no longer working. Following several years of planning and exhaustive research by the steering committee into possible sites for The Men’s Shed, a suitable location was eventually identified and made available by Uniting Care Ageing-Northern Sydney Region at the Wesley Gardens Retirement facility in Belrose. Having secured an appropriate site, there followed a further period of nearly two years during which the steering committee developed detailed plans and budgets for setting up The Men’s Shed facility. Throughout this period an enormous amount of voluntary time and labour was provided by members of both the Lions and Rotary clubs in order to convert the site from ‘bare floor and walls’ into a functional woodworking workshop. Regular media publicity of The Men’s Shed project throughout the planning phase attracted enthusiastic support from the local community with generous offers of tools, equipment and raw materials. Prior to The Shed being opened and in order to promote the new facility and further raise community awareness, the steering committee held a community ‘open day’ that attracted a large number of visitors, many of whom subsequently joined as members. 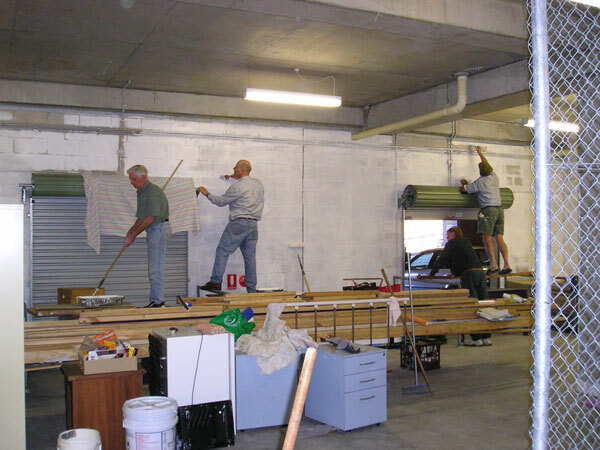 The Men’s Shed commenced limited operations in mid 2007, opening one day per week. The facility was officially opened on April 3rd, 2008 and was incorporated as an association in October 2013. The Shed now operates five days each week.